Mr Hippy and I had some lovely presents for Christmas which we were very grateful for. Watch the video below to see me make our thank you cards using the Stamparatus. When I started planning my design the Stamparatus came to mind immediately. You can create something and mass produce it exactly, which is high in the satisfaction stakes! 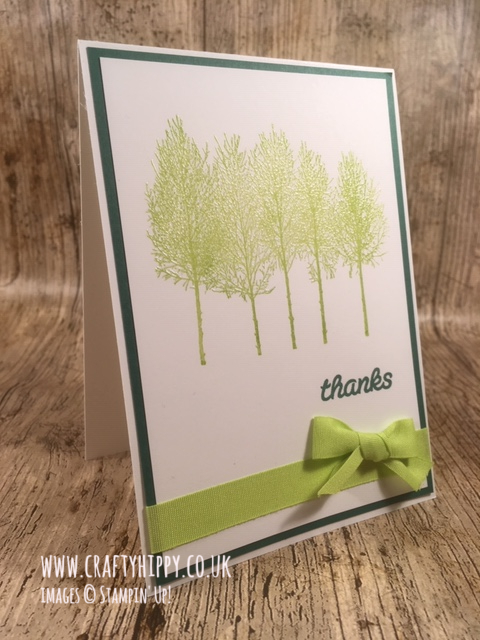 It didn't take long to create these cards which have been stamped with the Winter Woods stamp set. 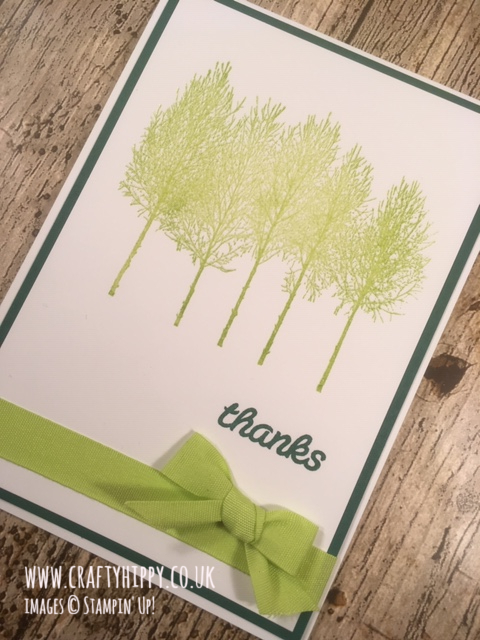 I opted for a combination of Lemon Lime Twist and Shaded Spruce which looked gorgeous together. You can find a full list of products at the bottom of this post. Suggested ribbon - I've used retired ribbon in the video - is the Lemon Lime Twist Mini Ruffled Ribbon which is currently available in the shop.